Happy 3 day weekend! 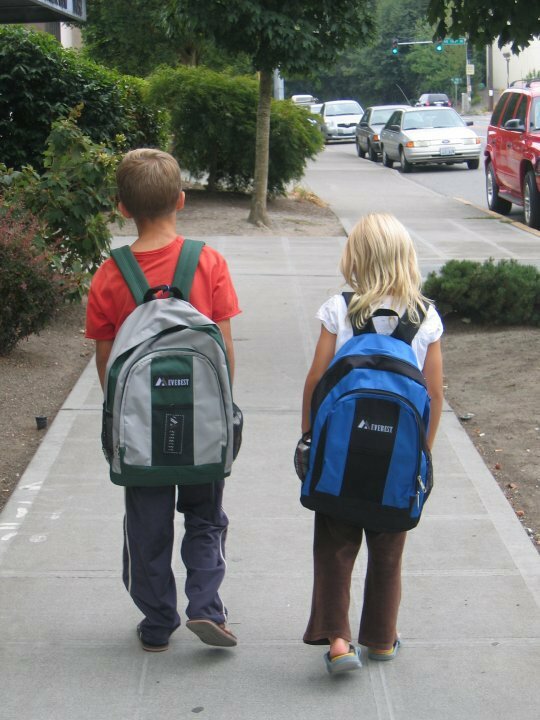 Labor Day also means back to school but what does that mean for homeless children? 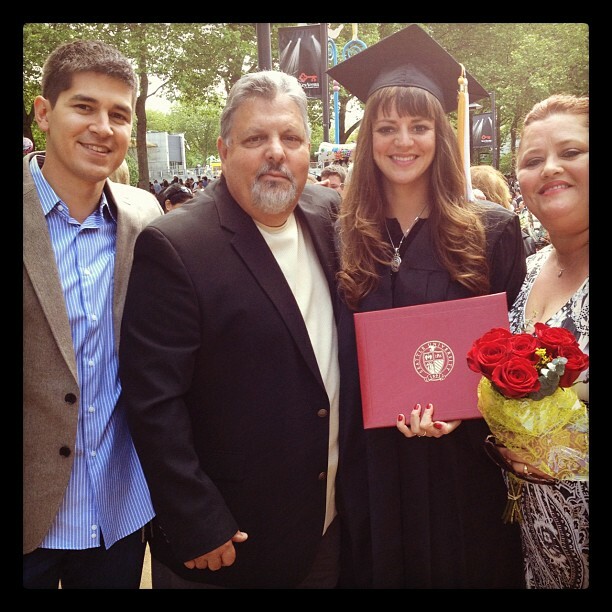 Sarah Swihart (2nd to right) with her parents and fiance at her Seattle University graduation Spring of 2012. She'll be returning to Seattle U this fall to begin a Masters in Public Administration with a powerful perspective that will make her a great policy advocate! We continue our Why Childcare Matters 5 part series with our guest blogger, Sarah, sharing her personal story of domestic violence and homelessness. Not belittling her own difficulties, Sarah reflects on how much more difficult it is for mothers. Child care can present a huge barrier for parents working to provide for their families and an obstacle that does not often receive much attention. In this series, we hope to shed more light on this issue and make connections between child care and homelessness. The "back to school" buzz is in full force! In the midst of new school supplies and other preparations, some kids going back to school also means returning to a regular routine. For students whose families are struggling with homelessness, school often means more stability and welcome child care for the parents. Child care can present a huge barrier for parents working to provide for their families and an obstacle that does not often receive much attention. For this reason, we are looking at Why Child Care Matters in a 5 part series running the next two weeks. We are excited to welcome another guest blogger Sarah Swihart who will be sharing her thoughts and research with us! The Olson Kundig Architects storefront in Pioneer Square, Seattle is currently hosting a collaborative exhibit, SKID ROAD. The installation invites visitors to learn more about homelessness and interact with the issue in new ways. I sat down with the project coordinators to learn more about the exhibit and gladly share their insights with you here.